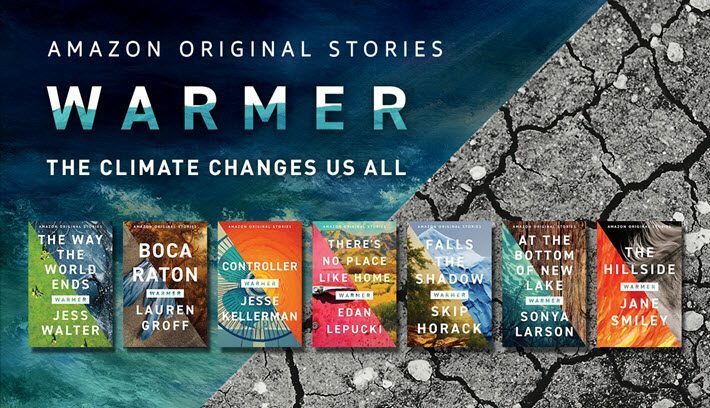 Amazon Original Stories releases a series of seven short fiction works on climate change called ‘Warmer’ to tap into the growing body of cli-fi books on the market. The Amazon Publishing imprint Amazon Original Stories today (October 30) has released a new series of seven short works, a collection of climate fiction, cli-fi, called Warmer. 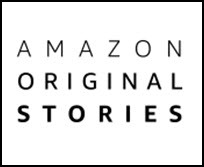 Original Stories is the second-newest of the “APub” imprints, the most recently added being Topple Books with Jill Soloway. In an exchange with Publishing Perspectives, Original Stories’ editorial director Julia Sommerfeld says that the socially significant nature of the new work is no accident. Those descriptive lines are from Plympton, a digital publishing company started in 2011 as the collaboration of writer-entrepreneurs Jennifer 8. Lee and Yael Goldstein Love. Sommerfeld says Plympton is a good fit for what she sees Original Stories producing. “Amazon Original Stories creates powerful, memorable stories that expand readers’ horizons,”Sommerfeld tells us, “whether that’s by helping them to find a new writer they’ll love or trying a different genre than they usually gravitate to, or thinking about important issues from new perspectives. And that concept already has been borne out in some of the new imprint’s earliest efforts in nonfiction. “Our nonfiction collections have already been dealing with a variety of societal issues,” Sommerfeld says. “Southside, a collaboration with The Marshall Project, told stories of the fight for justice in Chicago. In The Real Thing collection, writer Samantha Allen shared an unforgettable essay of falling in love while undergoing gender transformation surgery, and in the Missing collection, writer Claudia Rowe shared the story of a boyhood suspended in prison. In terms of fiction, however, Sommerfeld is leading her team on a promising departure. “Warmer is our first collection of topical fiction,” she says, “an area where we plan to keep expanding next year with collections of socially-attuned suspense stories, tales of dating after #MeToo, and more. 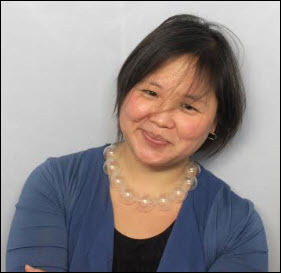 “But some of our standalone stories are also quit tied to today’s most pressing themes,” she says. Sommerfeld describes a welcome concept for the best thinking of modern writers: “As part of Amazon Publishing,” she says, “a big focus for us is innovating on behalf of writers. And in bringing the Warmer collection to market, Sommerfeld says, the collaboration with Plympton was a matter of “providing authors we admire with a simple prompt: tell us a story inspired by climate change. The range of what they came up just blew us away. If you’re noticing that the roster of authors on the Warmer project, like the sound of the writings, gravitates less toward sci-fi or fantasy, you’re on the right track. Living up to Lee’s classification of it as a “literary studio,” Plympton in recent years has been behind several interesting projects with which Publishing Perspectives readers are familiar. 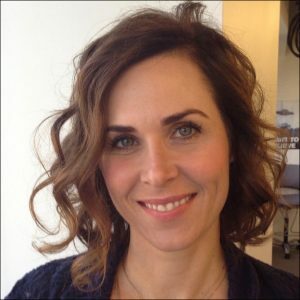 For example, Lee was executive producer on the Lincoln in the Bardo excursion into “virtual reality film” made by The New York Times with screenwriter Graham Sack, based on George Saunders’ Booker Prize-winning novel. Our coverage is here. She and Lee are hoping, Lee says, to see more collaborative and socially relevant efforts with Sommerfeld’s team at Original Stories. Needless to say, the Plympton startup’s original work with what was at the time Kindle Serials now stands them in good stead, as does their experience in short-form content in the Rooster app. In terms of fiction on the pressing issues of our time, Amazon Original Stories’ approach—and Plympton’s work with writers—is one example of publishing’s service to its consumers getting Warmer.